The Shiva trilogy has become so popular that Business World went on to say that “Amish… is well on his way to becoming the Paulo Coelho of the east”. Much has been said and discussed about the book all over the world. But the biggest surprise came when Amish announced that the rights for Meluha’s English adaptation have been bought by an American director! Woah, now that’s some big piece of news- a Hollywood movie. The first book ended on a rather surprising note and I must warn you, the second book ends on a shocking one. Starting over from where Sati was left under attack by a Naga, the episode turns into a dramatic action sequence. 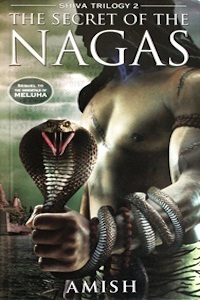 From there, the story picks up and Shiva and Sati both start their journey from Swadweep to Kashi and several other kingdoms, with just one motto in mind- to find the evil Naga who killed Shiva’s best friend Brahaspati. Vengeance is the only thing on Shiva’s mind and he will not stop at any cost. For this, he is ready to make a deal with any devil. His dark path is surely to lead him on till the gates of the serpent kingdom. In this journey, Shiva and his team come across the fact that an evil plague is rising everywhere and certainly, in most of the kingdoms, it has already risen. Simultaneously, a prince is murdered, an entire kingdom is dying and treachery seeps in from the most unexpected place- the perfect kingdom of Meluha! By the time you read all this, you might think the book is done with its share of surprises and twists but no! There comes yet another epic secret revelation about Sati, and this changes everything. The challenges that lie ahead get more knotted when Shiva goes to consult his loyal philosophical lot, the Vasudevs; they leave Shiva baffled and his faith shaken. The story is action packed and is one hell of a roller coaster ride that won’t let you keep the book aside for a single moment! Kudos to Amish for bringing to us a daunting novel that is sure to remain a popular book for several decades. 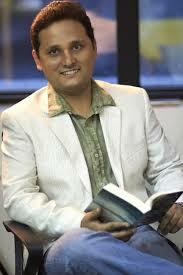 The beautiful way in which Amish takes the readers on the journey of the ancient Indian subcontinent is marvelous! This shows the expansive research he did and his deep rooted passion for mythology and philosophy. Truly, it is a wonder to so carefully re-create the characters of the most popular Hindu Gods! Learn what Amish has to see about his famous trilogy at SFX. Also, did you know that Karan Johar will be involved in the filming of The Immortals of Meluha, the first book of this trilogy? Read our review of Book #1 here. Excellent review, I have read the first part of this book now after reading this review will grab this book from the bookstore and read it ASAP. Excellent review. Have already bought all books. They are waiting for me to read. Really In Depth Review From The Core Of The Book & Clarify It Properly, Fabulous Job. Fantastic review. I have read all the three books of shiva trilogy. Awesome.. This book is a page-turner! I’ve read the entire series. I feel that the third book could have been written better, editing been more taut. I still gotta read this trilogy! !